It hasn't been too long since the Masters of Chaldea finished off Fate/Grand Order's main story quest by blowing up a ton of weird tentacles and putting human history on the correct path, but the fight isn't over yet. 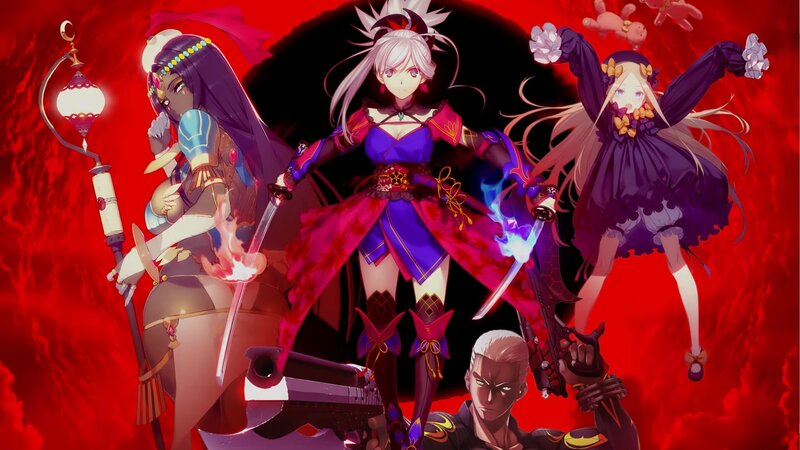 Detailed at this weekend's Fate/Grand Order USA Tour event, the game's next major storyline, titled Epic of Remnant has just gone live after an impromptu maintenance break on Sunday evening. More specifically, Epic of Remnant is an umbrella title for four new chapters in the story to be released over the next year. Called "Pseudo-Singularities", the first is called Shinjuku Phantom Incident, and takes place in Shinjuku, Japan, in the year 1999, making it the first major FGO plotline set in a contemporary location (not counting the prologue, where the city of Fuyuki is mostly a smoking ruin). Epic of Remnant also brings back an old staple of Fate/Stay Night, which is the hiding of its Servants' identities until they're revealed in the storyline. Back in the day, it was a big deal to learn a Servant's true identity, as knowing who they were in life could give a big advantage in anticipating their abilities. Until Epic of Remnant, FGO tended to play fast and loose with the true names. Of course, given that FGO's English release lags a year or more behind Japan, that information is already all out there in the wild, so it's not as if it's a huge surprise if you're the type of player to do research, but spoiler-averse may find plenty to like as they contemplate rolling for Shinjuku's banner Servants, which include a new 5-Star Archer, 4-Star Assassin, and 4-Star Avenger. Even players not inclined to roll will be taken care of, as the update also debuts new game mechanics, like "Break Bars" designed to make powerful bosses a little less simple to defeat, and UI updates (like a music player in the "My Room" section), as well as an increase to the player's Master level, allowing an increase in the friends list limit as well as extra Cost to allow equipping more high-rarity Servants and Craft Essences. You check out trailers for both Epic of Remnant and Shinjuku Phantom Incident below. Who do you plan to roll for?